Supporting local children’s sports teams is a Heidebreicht tradition. Every year we team up with a baseball organization in Romeo, which is just up Van Dyke Road from our showroom. This year we chose the Washington Area Athletic Association as our organization and Washington Baseball as our league. Washington Baseball has been running recreational leagues for kids in this area since 1962. 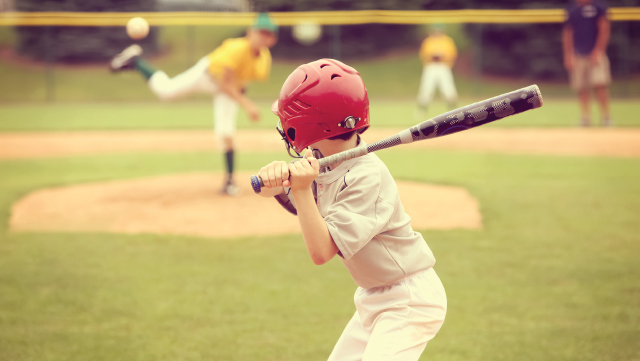 Around seven hundred kids play in the league every year, all supervised by an active group of volunteer coaches, umpires, and even Board members. These volunteers are dedicated to making sure kids from all around this area play and challenge themselves to improve. They organize games, annual Coaches Clinics, provide fields, and so much more to make sure the children are having a good time. No one involved in Washington Baseball gets paid for it, but there are still costs involved in running an athletic league. That is where sponsors come in. Sponsoring a league lets us provide our players with equipment, shirts, money, and unique experiences they wouldn’t otherwise be able to have. Last year, for example, we were able to bring a group of our player to a Detroit Tigers game. They were even invited onto the field for recognition. Another time we helped with a Baseball Clinic held at Comerica Park, where the players learned effective ways to practice their skills in a fun setting. Sponsoring teams isn’t about advertising Heidebreicht; it’s about service. The real reward comes from building civic pride and community among our youth. The league also gives parents and kids opportunities to spend quality time together. It’s an investment in our future. Help us invest in Michigan’s future. Get out to the ballpark and cheer on our little leaguers!